Carrie Fisher? Prince? 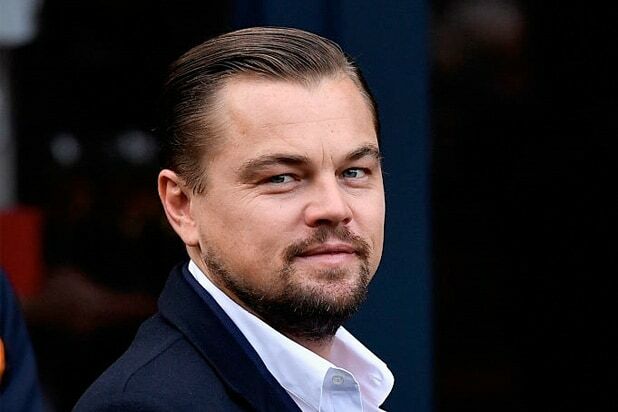 Leonardo DiCaprio? Why don't these legendary celebrities have stars on the Walk of Fame, but some TV executive from the '50s we've never heard of does? And why does Gene Autry have five? Well, it's complicated. Anyone can nominate a celebrity for placement on the Walk of Fame, but the person nominated has to accept the nomination, then pay a $30,000 fee for the ceremony. And then they even actually have to show up to the ceremony. And if the celebrity is dead, that person is only eligible for inclusion five years after their death, with just one posthumous award granted by a voting body annually. But that shouldn't stop us from trying! So here are some names of individuals who are certainly deserving but you won't see when you're strolling Hollywood Boulevard. 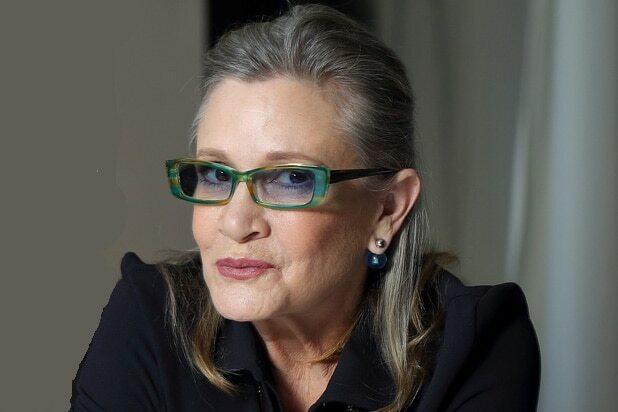 Carrie Fisher Fisher's snub from the Walk of Fame has been the most vocal of the last few years. When she passed away, fans wanted to place a miniature shrine by her star and were disappointed when they couldn't find it. Then Mark Hamill was awarded a star of his own, and Harrison Ford paid a dear tribute to Fisher at Hamill's ceremony. And finally, after Donald Trump's star was vandalized, Hamill suggested that Fisher's name replace his. Leonardo DiCaprio Over two years ago, someone started a petition on Change.org to see Leo get his star on the Walk of Fame. But just like "Titanic," let's just assume Kate Winslet's is taking up too much space. Prince Prince originally turned down a place on the Walk of Fame back when his song "1999" was released. But when he died in April 2016, one fan made a "temporary" star on one of the nearly 500 currently blank spaces available. 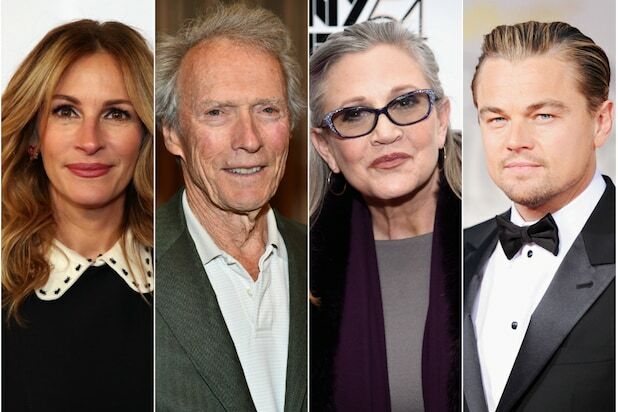 Julia Roberts and Clint Eastwood Julia Roberts and Clint Eastwood are both among some of the celebrities who have notably turned down the opportunity to get a place on the Walk of Fame. Bruce Springsteen Bruce Springsteen accepted his Walk of Fame honor, but then famously never showed up to his ceremony. The Walk of Fame committee has a rule that an honoree must schedule the ceremony within five years of accepting the prize. Denzel Washington, George Clooney and Al Pacino are others who have also accepted a star but then failed to set a date. Brad Pitt and Angelina Jolie As of 2017, "Today" reported that even mega A-listers like Brad Pitt or Angelina Jolie had never even been nominated for a star, which seems like a bizarre oversight. Your favorite young pop star Much as we'd like to see Cardi B or Selena Gomez or take your pick of the hot pop star of the day on the walk of fame, you have to have five years of work within your designated field in order to be eligible for consideration, and then you have to wow the nominating committee of your career achievements on the whole. Dozens more Some other famous people who are currently without stars on the Walk of Fame: Robert Redford, George Lucas, Robert DeNiro, Warren Beatty, Will Smith, Diane Keaton, Mel Gibson, Jim Carrey, Michael Keaton, Peter Sellers, the director David Lean, Marcello Mastroianni and many more.